About 20% of taxpayers could pay higher taxes under the Trump administration's tax reform plans, according to an analysis released Wednesday by the Tax Policy Center. The analysis acknowledges there's a lot that isn't known about the administration's tax proposal. That's because the White House has only released a short summary of its plans, rather than proposed legislation which would include details. Overall, 71% of taxpayers would have a lower tax bill, according to the analysis from the nonpartisan think tank. However, some taxpayers in every income level would end up paying higher taxes. Specifically, a large number of middle class and upper-middle class tax payers would see a tax hike due to the loss of deductions and the elimination of both personal and dependent exemptions. Both the very rich and the very poor would be among those least affected by higher rates. 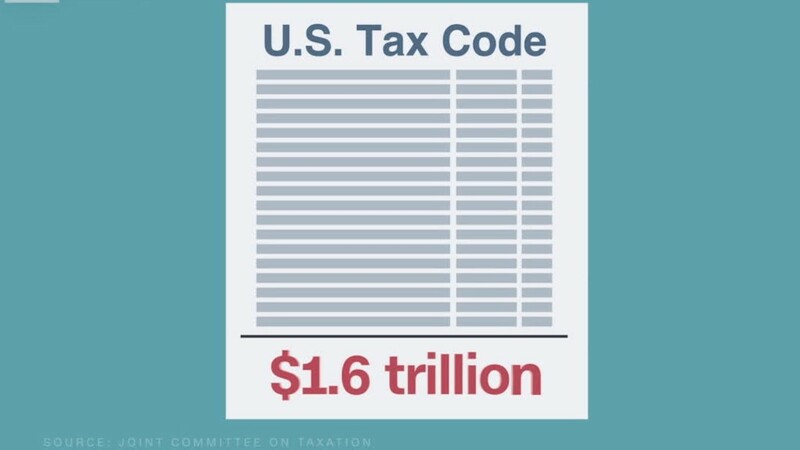 About 2% of taxpayers who make more than $3.4 million a year would be hit with a tax increase, while 7% of taxpayers making less than $25,000 a year would see their tax bill go up, or would get less money back from tax credits, such as the earned income tax credit. About 75% of middle income taxpayers, those who earn between $48,600 and $86,100, would see their taxes decrease by an average of $760 a year. But the remainder of that group -- 24% -- would see their taxes go up would have to pay about $1,000 more. Since most taxpayers will pay less under the plan, the group estimates that overall revenue would fall by $3.5 trillion and that federal deficits and debt would rise under the plan over the next 10 years. It also forecasts relatively little economic growth from the tax cuts, since most of the stimulus they will create would be offset by the drag on the economy from rising government debt and higher interest rates. The group also estimates that the overwhelming majority of the tax savings would flow through to the richest tax payers. Nearly 80% of the savings would go to those earning $150,000 or more, with half the overall savings going to just those taxpayers in the top 1% of income, those earning more than $732,000 a year. The Tax Policy Center says it assumes that the mortgage interest deduction would be retained, as would the deduction for charitable donations. But it assumes most other deductions, including those for state and local taxes as well as medical expenses, would be eliminated. The earned income tax credit, used by the working poor, would be retained under the analysis, but the head of household filing status, most often used by low income taxpayers, would be eliminated.